Audubon Society of Portland, Columbia Land Trust and Friends of Tryon Creek have teamed up to create a unique Backyard Habitat Certification Program. 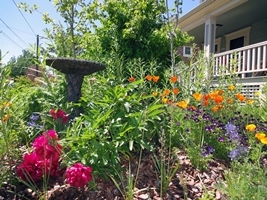 The Backyard Habitat Certification Program provides assistance and incentives to residents on lots less than one acre, within the cities of Portland, Lake Oswego, Gresham and Fairview, to restore native wildlife habitat in their backyards. There are four program elements: removal of aggressive weeds, naturescaping with native plants, stormwater management and wildlife stewardship. Get started by filling out an Introduction Application on the new Backyard Habitat Certification Program website. We will contact you within one week of receiving your application with more information about scheduling a site visit with a Backyard Habitat Technician. 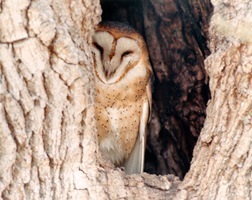 The Site Visit will provide technical assistance to help you identify ways to enhance habitat in your yard. Following the visit, the technician will send a personalized Site Report which outlines the steps to certification discussed during your visit. A fee of $35 is due at your site visit. When your yard meets the criteria, we'll send a certification technician back to give you the Certified Backyard Habitat sign! It generally takes homeowners 3 months to 1 year to get certified.